Made Exclusively for Doormats & More by Bacova Guild! A fun and decorative berber laundry rug by Bacova Guild. 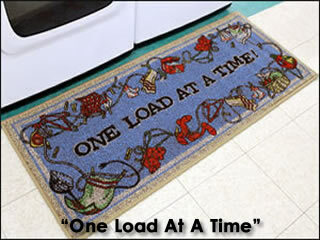 Perfect for use as a decorative rug in front of your laundry machines or use it as a light-duty welcome mat. Soft & supple olefin rug with non-skid latex rubber backing. Stain / Fade resistant decorative berber pattern. An excellent value. Easy care - machine washable in cold water, delicate cycle. Fluff dry - no heat. 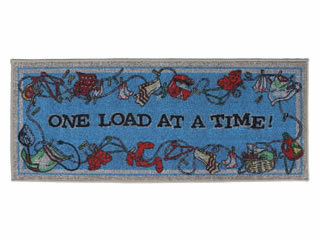 "One Load At A Time"